Disability is a strange lived experience and identity. People may be born with it, or they may acquire it at any time. In some cases, they’re cured of it (whether by choice or otherwise). Many people who are disabled also sit at an intersection of identities, and their disability becomes an amplifying factor that makes their other lived experiences more challenging. I talk a lot about access here and how disability should not be an afterthought in event planning and political action, but I wanted to take a moment to talk about the inclusion of disability in political dialogue itself. Because when I say that disability is always left off the list, I mean it — and sometimes, it feels like a deliberate sleight rather than random happenstance. It’s not just that people aren’t thinking about disability, but that they are turning their backs on it. One obvious issue from recent times: The Affordable Care Act. One of the first moves Republicans took under the new Congress was to start setting up the framework for dismantling the ACA. Nondisabled people flooded social media screaming about how this is terrible and will jeopardise health care and numerous other things. All of which was true. But they didn’t mention disability. No one wanted to talk about the fact that this was a shot across the bow at rights of disabled Americans. I don’t want to pick through every single recent kerfuffle and action to talk about how disability was left out, because it will depress and exhaust me, so I just want to say this: In the United States, disability is bound up in everything. It is interwoven with race, class, gender, sexuality, faith. Oppression along any given axis also likely includes disability oppression, but this is rarely acknowledged or discussed. This isn’t about playing oppression Olympics, but about the fact that you cannot rectify inequality if you don’t look at inequality as a complex system. If, for example, you think it’s unjust that children of colour are suspended and expelled from school at disproportionate rates (which it is), you also need to engage with the fact that the most-profiled group is actually disabled students of colour and that there is a deep and disturbing intersection between disability, race, and treatment in school. You cannot have racial justice without disability justice in this case. Nor can you have disability justice without racial justice. These systems are tied together. A lot of people have suddenly woken to profound social inequalities and a desire to get involved in meaningful social action. That’s amazing and great to hear, and I’m not being sarcastic. I am always excited when people are interested in working to address institutional oppression. But this entire series is about exploring ways in which being ‘helpful’ can sometimes inadvertently create more problems than it solves. And this is true with disability as elsewhere. It’s not enough to acknowledge that disabled people belong in society and have a right to participate in your events, in addition to a strong desire driven by the same concerns that drive nondisabled people. 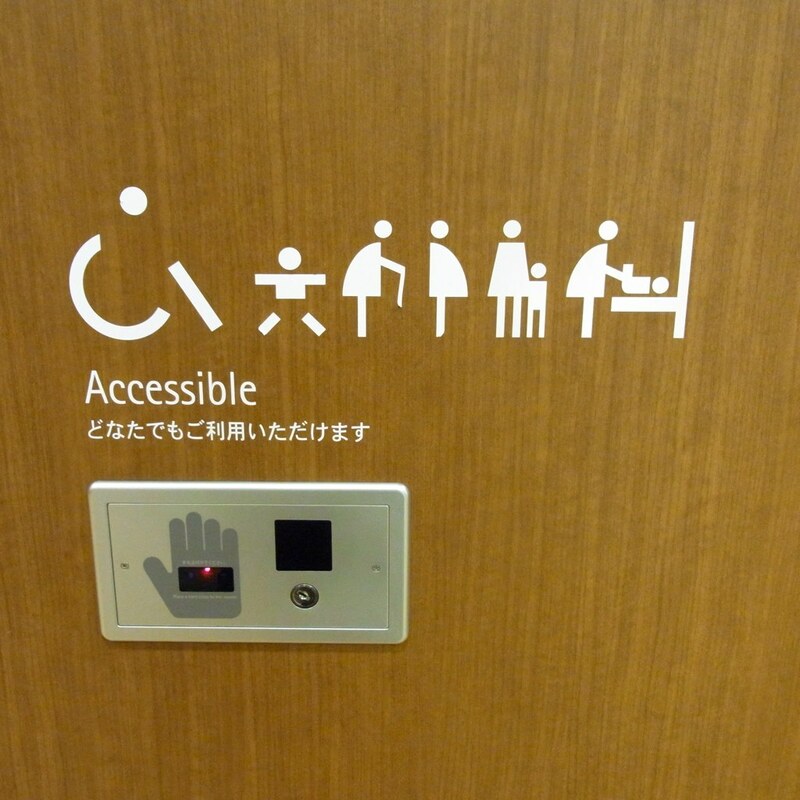 It is also important to acknowledge that access and inclusion aren’t just about whether disabled people feel welcome or can have a wee if they need to during your march/talk/teach in. It’s also about asking yourself, as you take political action, in every setting, whether disability relates to what you are doing, and if it does, how you are going to integrate that into the way you address it. Not sure? That’s okay: No one was born knowing everything, and all of us are learning all the time. You are not responsible for not magically knowing every single thing there is to know about anything ever and anyone who claims that you are should do some self-examination. But you can Google. Or seek out work by disability rights activists, or pay attention to conversations people are having. If you want to take action on something, try a simple step: Google ‘[issue] disability’ and see what comes up. It’s highly probable that an entirely new avenue of information will open up to you, and you may find a wealth of resources that will inform your activism. This isn’t just about asking you to consider the disability implications of what you’re working on — though doing so will make your activism more inclusive. It will also make your activism more effective, because it will uncover issues that don’t get a lot of air time. That in turn makes the disability community stronger, by reinforcing the fact that our issues are everyone’s issues. That conversations about disability belong everywhere, and they aren’t going to go away. If you feel out of your depth, do some more reading! Follow cool disability people on social media! Follow uncool disability people! Explore the work of people and organisations working on issues that matter to you! Hire consultants! Bring a disabled person on to your organising and policy team if one isn’t there already — and your team should be a diverse reflection of society, so this shouldn’t be an issue. You’ll note that one thing I don’t do here is recommend that you ask disabled people to do your work for you. I’m not trying to be snippy about this, I’m genuinely not. But the fact is that disabled activists have a lot of work to do, like everyone else, and answering questions can be distracting and time-consuming. Often, those questions could be handled with some reading and poking around, so it’s worth taking those steps first and then contacting people. Email is a good way to do that, because people can read and respond at leisure rather than feeling trapped on social media. I know firsthand that searching for information is challenging. Sometimes you just can’t get the combination of keywords right, or something just isn’t going your way, or you don’t even really know the term for the concept you’re trying to learn about. That’s okay! And I totally sometimes drop fellow disabled people a line like: ‘Hey, when you did your piece on blah blah blah, did you stumble on any good stats? I’m working on something similar and having trouble.’ It’s not that you ‘aren’t allowed’ to reach out directly for help, and many of us love helping people who are interested in learning more…but it’s really helpful for us when you do a bit of legwork first, and if you’re asking for extensive guidance and consulting, be prepared to compensate us, just as you would any other consultant, because intellectual labour is labour. It can be challenging to adapt to something new. Maybe you need to put a stickie note next to your workspace: ‘How does disability fit in?’ Whatever you do to remind yourself to keep searching, to dig deeper, do it — soon, it will become second nature, and you’ll be a better activist for it.